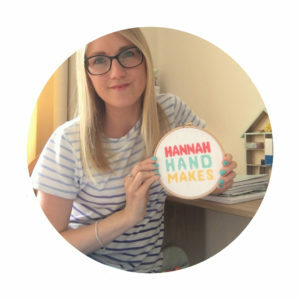 In my brand new How to Cross Stitch Course for Beginners, I am stripping back the overwhelm and simplifying cross stitch to have you stitching in no time! Tired of scrolling Pinterest to find the relevant how to cross stitch posts? I’m here to take that away! 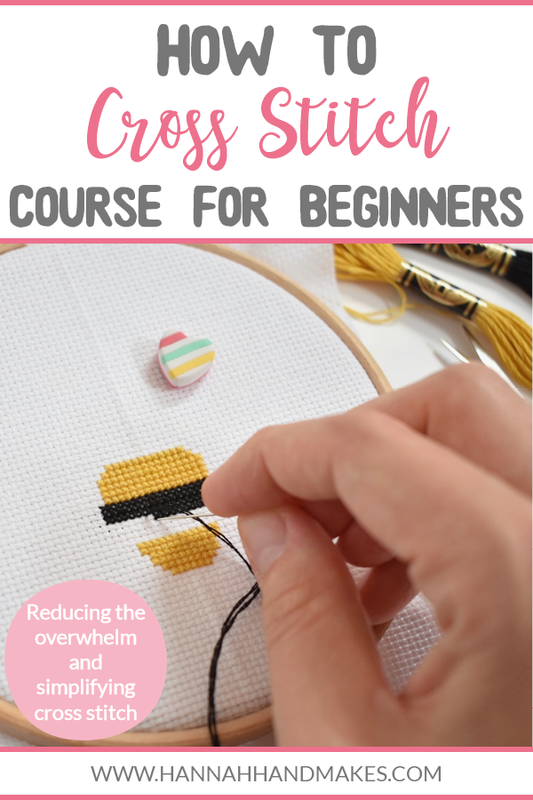 The course is packed with instructions on how to stitch along with my own tips and tricks that I’ve picked up during my 5-year cross stitch journey – and it’s all in one place! Before you get started why not download your free printable – The 6 Must Haves to Get Started in Cross Stitch. It even includes direct links to products/materials I recommend! What’s Included in the How to Cross Stitch Course? Plus free patterns, discounts and an E-book to go along with the course! How Much Does the How to Cross Stitch Course Cost? As of April 2019, the course will be £37, but it is available at a special price of just £17 for the first students to take part in the course! It will not be this low again so take advantage of this special offer while you can! When is the How to Cross Stitch Course Available? The first launch of the course will be between 29.04.19 – 05.05.19 then the doors will close for a month to make sure everything runs smoothly for the first students. And then the doors will open again in June forever! (Or as long as Hannah Hand Makes runs). On the 29.04.19 a link will go live to purchase the course. You will find the link in my emails if you’re on my list, in my Facebook group and on this post (why not pin it for later? Just scroll to the bottom for the pin image). Once you buy the course you will be emailed instructions to log in and start learning straight away! You will have access forever including any updates or new things that are added to the course. You can take this as slowly as you like or consume the whole thing in less than a day. That’s right, if you have all the materials ready I can have you stitching the same day you buy! I do! (You can read them here). But you have to do a little digging to find all the relevant posts that you need; they aren’t all together in one place link they are in the How to Cross Stitch Course. They don’t have markers showing you where about you are up to. And they don’t have little checkmarks for when you complete a lesson! (Man, I wish they did). And all of the videos in this course have been recorded specifically for you and can’t be found anywhere else. The point of this course is to save you time. I know you live a full life and are tired of scrolling through Pinterest trying to remember where that awesome how to cross stitch post has gone. Tired of visiting multiple websites to consume all the tutorials you need. Take this course and keep all these tutorials in one place and you can watch them over and over again until you get the hang of it!